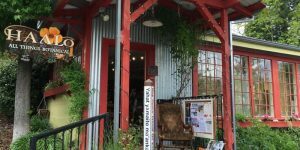 In my lovely northern California town, we have a very special herbal apothecary called Haalo, which stands for “Health Alternatives for All Locals.” It is more than an herb shop, it is a veritable vortex of healing energy. I am not able to perform at Haalo today because I caught a cold from my sweet daughter. Stay tuned for another date at Haalo in March! May Love surround you and penetrate you, multiply within you and glorify you today and every day!